Conde McCullough was chief engineer in 1932 when the Isaac Lee Patterson Bridge over the Rogue River was built. As are all McCullough bridges, the decorative and functional ARCH prevails, making Gold Beach a tourist attraction at the southern Oregon coast. 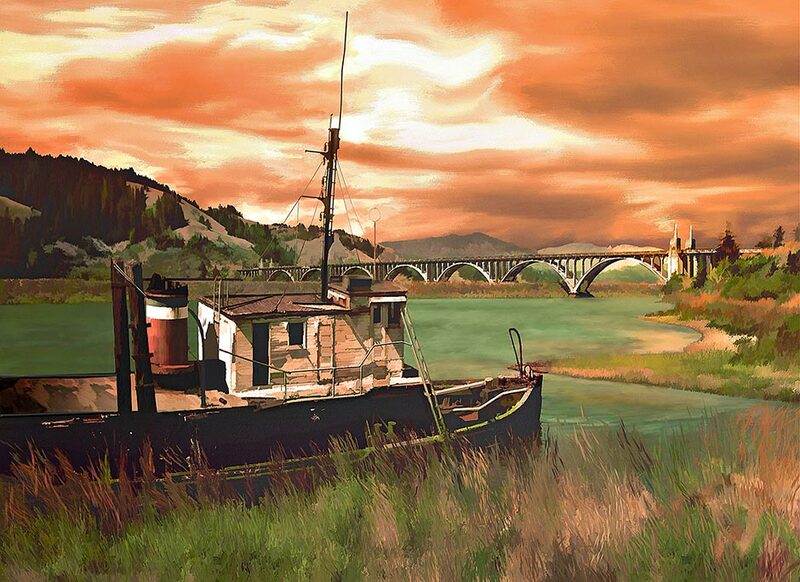 People have also been watching the "Mary D. Hume" steamer, built at Gold Beach in 1881, age and disintegrate with time. The painting captures both past and present. Click here for more information about CANVAS TREATMENT.